James W. Moore works in Applied Behavioral Analysis at USM. Chelsea McKinley is the mother of three children: 10-year-old twin boys and a 9-year-old boy, who all have non-verbal autism. She says she had little hope to overcome her children’s autism, then she was introduced to Applied Behavioral Analysis. "Every other therapy we've tried and we've tried them all. You kind of feel like as a parent that you have to be the educator, the doer, the support system for your kids and you don't really have anything backing you up. With ABA my children now have a family of therapists." Applied Behavioral Analysis is a therapy style that’s emerging in Mississippi. Therapists work with patients to help them learn to understand their behaviors and ways to change them. Therapists say ABA improves patient’s ability to learn, reason and communicate. 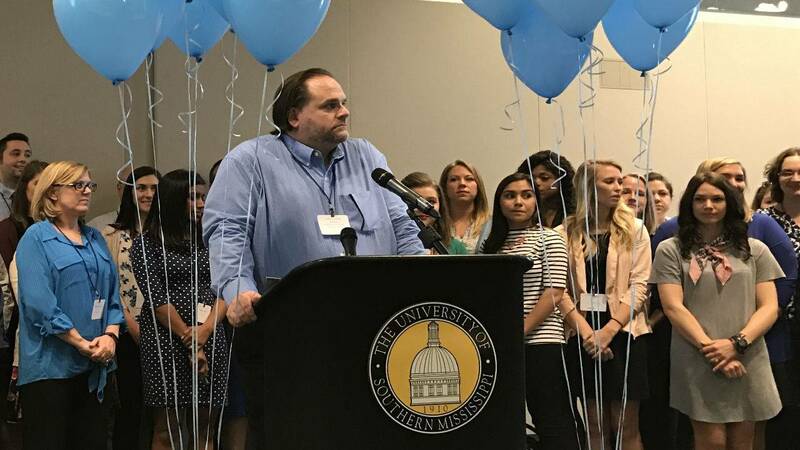 James W. Moore is the Director in Training of the Applied Behavioral Analysis program at the University of Southern Mississippi. He says ABA is most effective when therapy begins during early childhood. "Research tells us that delivered early best delivered between the ages of two to eight when we first identify them. That doesn't mean that later doesn't work, but to see these huge changes where kids go into regular ed classroom instead of special ed, go on to college and get jobs you very rarely find individuals outside of that two to eight year old range from when therapy started. The younger you get them the better the outcome." Moore says he would like to see more ABA training programs open across the state to increase access of the therapy. April is Autism Awareness Month.